Press Release 1st - Mantua, March 3rd, 2014 - The opening for the registration of the 28th edition of the Gran Premio Nuvolari is on, the historic car event of regularity that will be held from September 18th to 21st, 2014. The event is organized by Mantova Corse, Automobile Club Mantova and Museo Tazio Nuvolari. The cars will depart, as usual, from Piazza Sordello, in Mantua, and will run about 1,000 km through the Italian landscape, from Mantua to Cesenatico, from Urbino to Siena, from Arezzo to Rimini and from Ferrara back to Mantua. The Gran Premio Nuvolari is back for the 28th edition, from September 18th to 21st, 2014; it is expected by an audience of collectors and enthusiasts, for which the historic event represents a moment to remember the "grande Nivola" in a formula that combines healthy sports competition and travel pleasure to visit unusual and fascinating glimpses of Italy. Organized, as every year, by Mantova Corse, that collaborates with extraordinary entities such as Automobile Club Mantova and Museo Tazio Nuvolari, the Gran Premio will be open to about 300 historic cars, 600 gentlemen drivers who will compete in one of the most important regularity races in the world. Loyal and prestigious partners - Audi, Eberhard & Co., Etiqueta Negra and Banca Generali - have confirmed, with great satisfaction, their support to the event. On Friday 19th, at the end of the Technical Checks, the cars will depart from Piazza Sordello, in the center of Mantua, in front of the historic Gonzaga's Palazzo Ducale: a setting of extraordinary beauty which, with its considerable extension, offers a complete overview of the participating vehicles, so appreciated by the public. After having crossed the Bassa Padana, the drivers will compete at the Autodromo di Imola, where they will test their skills at the wheel in the circuit, famous all over the world, scene of unforgettable duels that have written the Formula 1 history. The arrival in Cesenatico is expected by the evening, where the brand new Grand Hotel Leonardo da Vinci will host the dinner. On Saturday 20th, second stage and hardest day than the previous one: the cars will chase among the hills of Emilia Romagna, Umbria, Toscana and Marche, in a passionate competition through sinuous curves and tests of skill. Do not miss the transition to Urbino, that will see the classic cars going through winding streets and wide squares of the Renaissance. Then, there will be the passages across Piazza del Campo in Siena and Piazza Grande in Arezzo. When the sun goes down, after having cross the finish line in Rimini, the Grand Hotel park will welcome all the guests, very close to the sea, for the traditional gala event with the sponsors and the authorities. Left Rimini on Sunday morning, the racers will drive along the Adriatic road to arrive in Ravenna, at the Autodromo di Imola and, finally, in Ferrara, where they will face the trials of the circuit of the Estense Castle, in the historic center of the city. Drivers will have to prove a thorough knowledge of their vehicle and its features: the Gran Premio Nuvolari, indeed, is characterized on the international scene by the number and quality of trials, designed to test the ability of competitors. The return to Mantua, with the passage on the bridge of St. George and the cutting of the finish line in Piazza Sordello, concludes the event: after the arrival of all the cars, drivers and navigators are expected to Palazzo Ducale for lunch and in the afternoon, at the Teatro Bibiena, seventeenth-century jewel hidden among the narrow streets of Mantua, for the ceremony to announce the winners. Three days of emotions and sports for an event that - after almost thirty years of success - is confirmed as an international event at the highest level in the world of classic cars, but also an opportunity to enjoy and to discover unusual angles and perspectives of the beautiful Italian countryside. 300 cars, 600 competitors and 1,000 km in 3 days of engines and show for collectors, enthusiasts and amateurs! 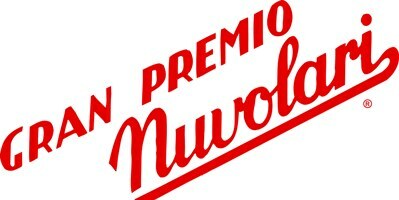 The collection of application requests will be open until the 31st of July and they will be carried out exclusively online through the website www.gpnuvolari.it.